KB Home / SimpleStep® / How do I skip the login process? How do I skip the login process? 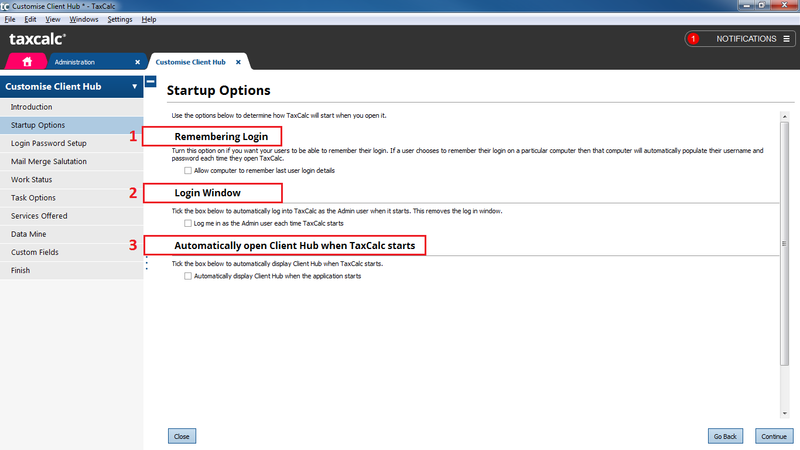 For improved security, TaxCalc Hub asks you to log in each time you open the program. However, if you're a single user and don't need multiple logins or this added security measure, you can set TaxCalc to automatically log in for you. 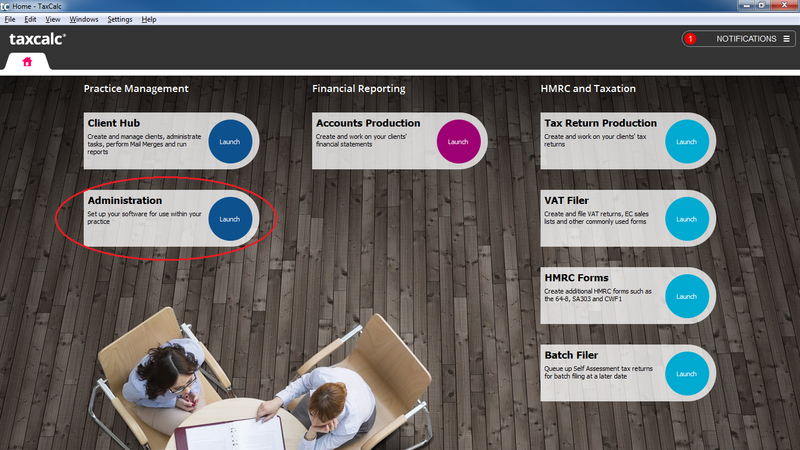 You can also set TaxCalc to automatically open the Client Hub tab whenever you log in. IMPORTANT: If you're a Network user you should use the remember login feature instead of automatic login. This is because the automatic login feature logs you in as the admin user and will also try to log in all users in the Network as the admin user. This will make the system unstable and could cause loss of data. Log in to TaxCalc as the admin user. 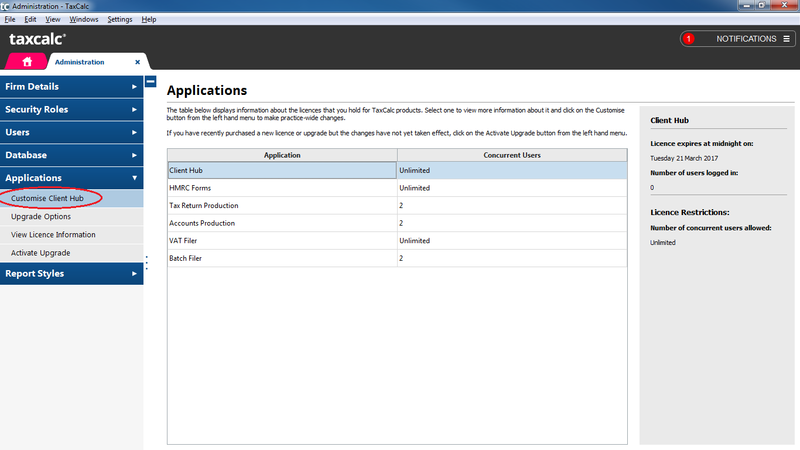 When TaxCalc starts, launch Administration from the home screen. Select Applications from the left-hand menu. Select Customise Client Hub from the left-hand menu. Double-click on Client Hub in the central table. The Customise Client Hub tab will open. Select Startup Options from the left-hand menu. Remembering Login – if you want to continue logging in to TaxCalc with your username and password, select this option to remember your username and password on your machine. Login Window – if you select this option the login screen won't appear again and you'll be automatically logged in as the admin user every time you open TaxCalc. Don't enable this if you're running the Network version and have multiple users. If you later decide to enable logging in again, return to this screen and untick this option. Automatically open Client Hub when TaxCalc starts – if you select this option the Client Hub tab will automatically open every time any user opens TaxCalc. This option can be used by any users on either Standalone or Network installations. Click on Continue until you reach the Finish screen.